InstallNET Recognized by Inc. Magazine - InstallNET | Office Furniture Installation Made Easy. Anywhere. InstallNET | Office Furniture Installation Made Easy. Anywhere. InstallNET Recognized by Inc. Magazine - InstallNET | Office Furniture Installation Made Easy. Anywhere. For the sixth time, InstallNET has been recognized by Inc. Magazine as one of the fastest growing private companies in the United States, ranking #3960 with three-year sales growth of 72%. 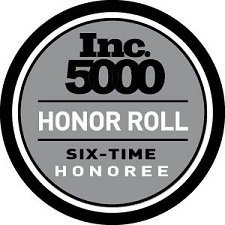 As an Inc. 5000 Honoree, InstallNET shares a pedigree with other successful companies like Zappos, Under Armour, Microsoft, Timberland, Clif Bar, Pandora, Patagonia… We are in very good company and proud to be there! This honor would not be possible without each and every member of the InstallNET family!